Methamphetamine (Meth) labs used to make the illegal drug methamphetamine turn up in houses, apartments, motel rooms, sheds, trailers and even motor vehicles. Each year thousands of meth labs are discovered by Landlords and police, while many more go undetected. Many of these labs are in houses that eventually get sold to unsuspecting buyers who have no idea that the home’s surfaces, insulation and carpeting may be steeped in poisonous substances. 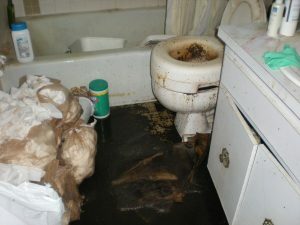 Get an all cash offer on your METH house regardless of location, condition, size, and price. You can close quickly – often within the next 30-days and get rid of your problem property. If you need to sell fast, look no further. Does this sound familiar? 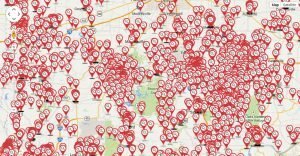 You’ve put the sign in the yard, placed ads in the paper, posted your house on craigslist, worked with agents, and maybe you’ve received some responses, but none of them have made the sale… we can help. 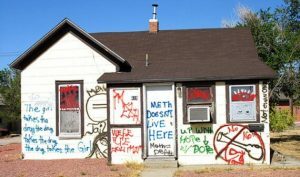 A meth house is a very hard sell because the meth-lab-cleanup costs can be enormous. 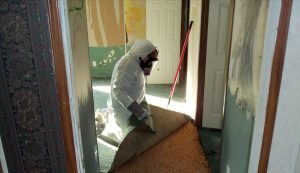 In order for a meth house to qualify for bankl financing sellers need to have it professionally cleaned and certified by the local code enforcement. 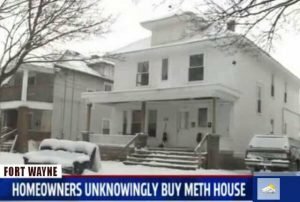 Due to the variety of chemicals that could potentially be used to manufacture meth, clean up costs can range from $15,000 to $25,000 or more for larger houses. People can be exposed by breathing the air that may contain suspended contaminant particles as dust, by touching surfaces that are contaminated, by eating or drinking from glasses or dishes that have layers of contaminated grime, or by eating or smoking after their hands are in contact with contaminated areas. Furnace air filters and drains may also have contamination in them. Children should never be allowed into these areas until cleaning is finished. Save yourself the time and trouble by calling today or fill out your information below. What Do We Look For in a Meth House? Size, location, condition, it doesn’t matter — we are look at all potential meth properties. I have to pay cash and can pay cash because banks will not knowingly lend on a meth house. I can also close quickly because the longer the meth house sits vacant the longer the vandals with destroy it as seen here in the picture after a meth lab bust. Avoid the selling hassles by getting a ‘No Hassle Home Offer’ to see if and how we might be able to save you time and money. If the old way of selling your house seems inconvenient, slow or costly I’ve earned a 5 star rating providing a fast, professional, worry-free house selling experience consistently for 25 years no matter what the situation is. Get in touch with America’s most trusted real estate investor who is recommended by more than any other in your area. In some I can also pay all your closing costs and taxes including attorney fees. Our initial contact will be to collect some data. Start by completing the seller form below. It’s completely confidential, costs nothing and you’re under no obligation. Once I add up any repairs and comparables I can determine if your asking price is something I can afford to pay. If there is a profit potential I will call you to verify the data you sent and set a time to come out for a look. When we meet I will bring a simple 2-page purchase agreement (which I can fax, email, or mail if you are out of town). Closing can take place through a licensed title company of your choice or else I have a great team we can use. Again, if you are out of town the title agent will come to you to close. You will get your money by wire or a check day of close. We want to make it as easy as possible for you to do business with us. We will walk you through the process and do all the work so you don’t have to. 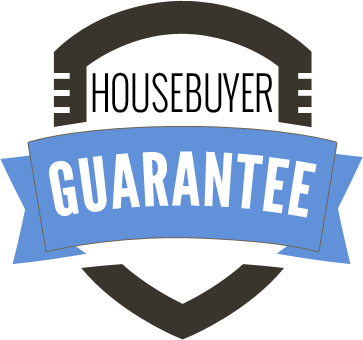 Lets see if your house qualifies for me to make you an offer to buy your house in one hour or less, Guaranteed! Fill out the form below to get started. Get a no obligation offer in just 48 hours by filling in the form below or call me toll-free 1-844-200-MOVE. It’s completely confidential, costs nothing and you’re under no obligation. We can be very flexible when it comes to closing and taking possession of the property and we offer Expedited Closing Service, when time is of the essence, for closing in as little as a week. When would you like to close? No Sales Pressure. Submitting your information does not obligate you to sell your house with us. "I sold my house to Scott just 5 days days after I sent in my property information. I wish everything could be this easy." Expedited closing service is available when time is of the essence. And you pay no EXTRA FEES for rush service. All valuations over the telephone and at your house are free and we aim to pay up to 85% of your property value. Of course we could on (and we do here) but our clients say it best. For 20 years I've specialized in purchasing real estate "as-is" for a fast cash buyout. After 2400 transactions I still love to buy, fix up, flip, rent and more. Housebuyer™ buys houses in Alabama, Alaska, Arizona, Arkansas, California, Colorado, Connecticut, Delaware, Florida, Georgia, Hawaii, Idaho, Illinois, Indiana, Iowa, Kansas, Kentucky, Louisiana, Maine, Maryland, Massachusetts, Michigan, Minnesota, Mississippi, Missouri, Montana, Nebraska, Nevada, New Hampshire, New Jersey, New Mexico, New York, North Carolina, North Dakota, Ohio, Oklahoma, Oregon, Pennsylvania, Rhode Island, South Carolina, South Dakota, Tennessee, Texas, Utah, Vermont, Virginia, Washington, West Virginia, Wisconsin and Wyoming.